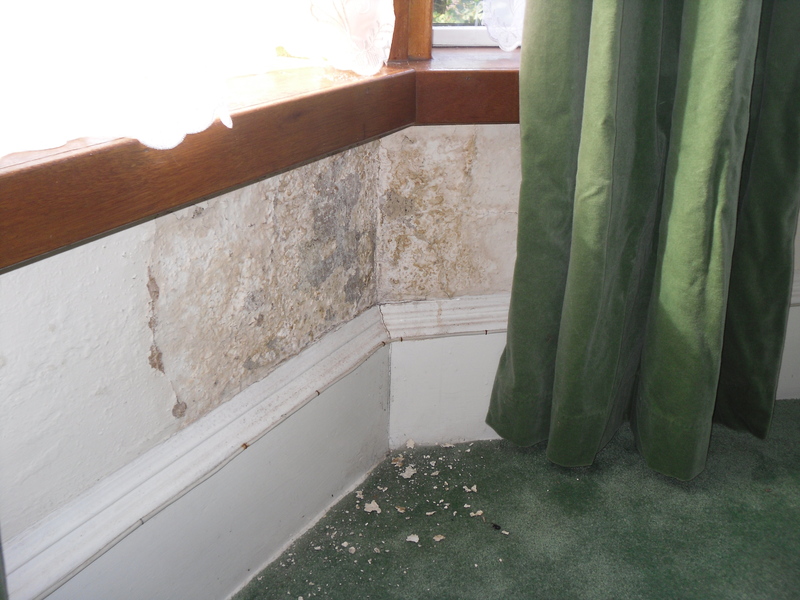 damp proof works in the basement area. 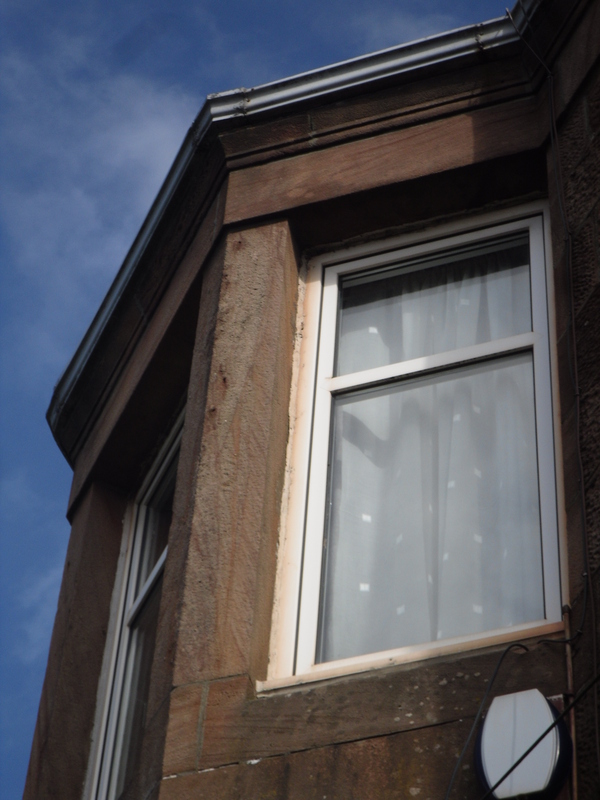 From the outside we could identify leaking guttering eroding the sandstone along the corner of the bay window at the side of the house, and from the front of the property the flashing’s had come off in places. We know that we need to get these headline items dealt with as soon as possible. We’ve been getting quotes on the boiler works and the damp proof specialist is due in this Saturday. One thing we do have fully sorted is the roof: well at least it’ll be sorted when Charlie our roofer is back from his weekend trip to Blackpool. We’ve used Charlie before on our current property. 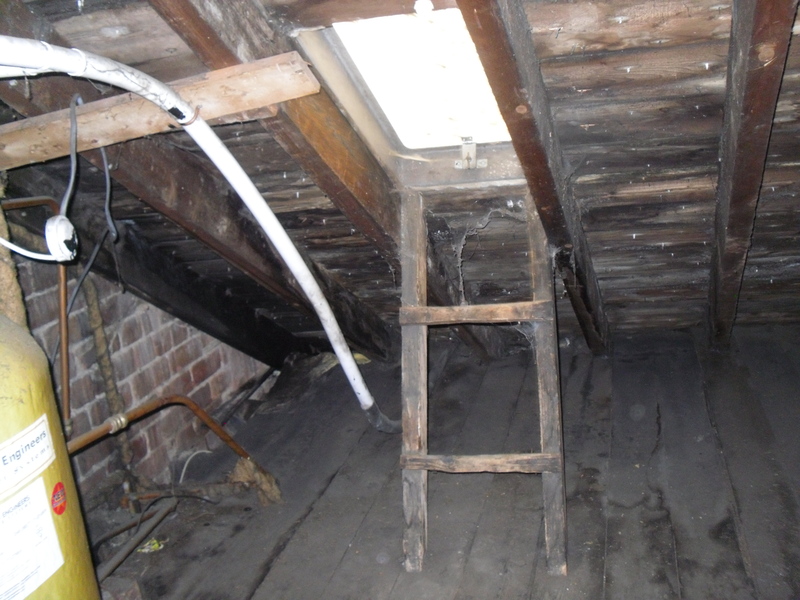 We have the top floor flat in a tenement in Glasgow and when there is any problem with the roof we are the first to know. Before Wednesday we’d never met Charlie. We’d got some contacts from http://www.mybuilder.com and we choose Charlie on the basis of his very positive customer reviews and his quote. He was able to access the roof when we were at work and we paid via BACS. So one roof fixed without meeting the roofer. Fast forward one year and it was a pleasure to meet Charlie in person. He apologised that he couldn’t remember me and laughed when I told him this was the first time we had met. The next hour was spent hearing Charlie’s tales of starting out as a chimney apprentice 36 years previously. 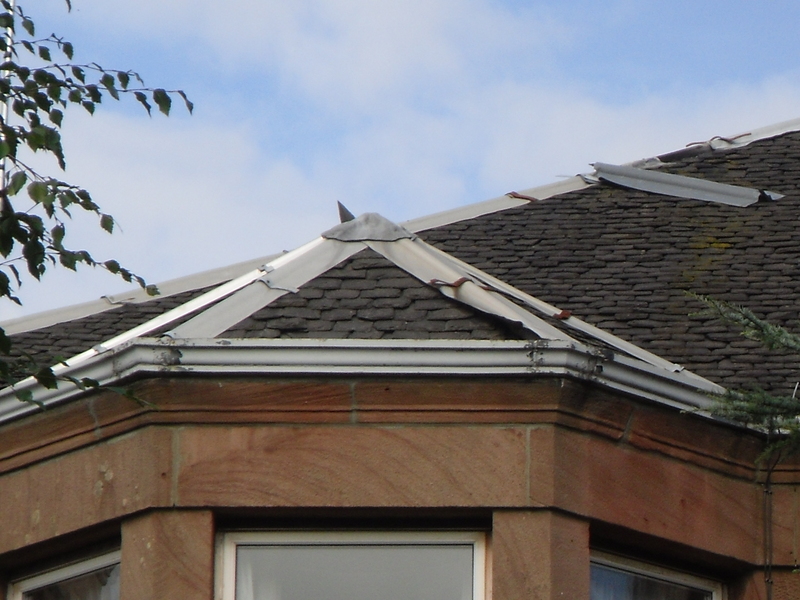 As more folk are no longer using their chimneys he has diversified into roofing work. Charlie climbed into our attic and used the access hatch to assess the roof. I heard some knocking and scratching before Charlie re-appeared. He came down and broke the news: “Ruth, I have to be honest, that roof is in good shape.” So despite the obvious leaks around the stained glass window over the stairs and the internal damp along the bay windows it is easily fixed. Charlie will be back in a few days to put the roof to rights. Hopefully the news on the other two fronts is just as positive. ← Green, green grass of home. Maybe the Home Report was a drive-by Ruth? 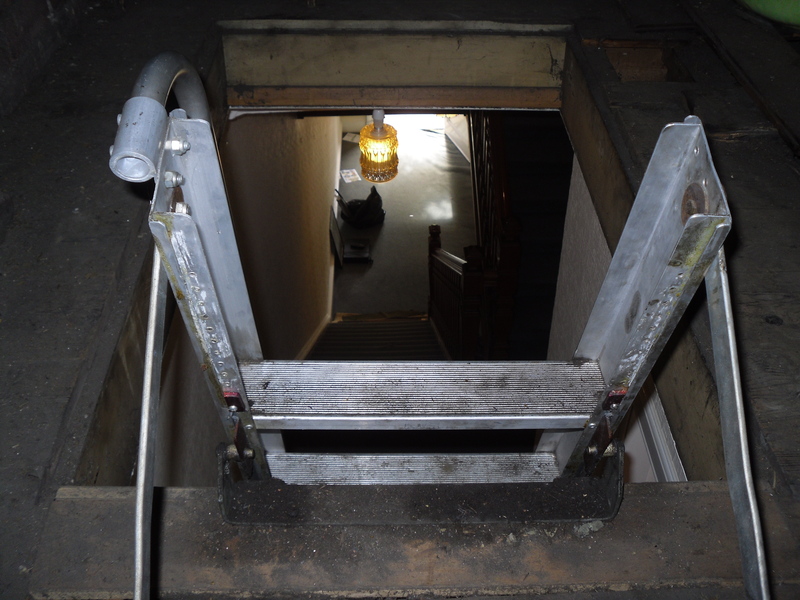 Full structural survey – you know us legal types are risk adverse Simon! Of course after all it is the vendor is obliged to carry out the Home Report and the wary prospective purchaser who actually gets a in-depth survey. I’m not a fan of the Scottish Home Reports as you may have guessed! I love them – it’s a great starting point to know what condition the property is in!